Welcome to the Girardian Virtual Bible Study! Each week we explore the lectionary passage with the help of René Girard’s insights into human relationships. We hope you enjoy this installment of the GVBS. Join us next week at 10 am Central on the Raven Foundation Facebook page for the live show. The show notes and video recording are below. 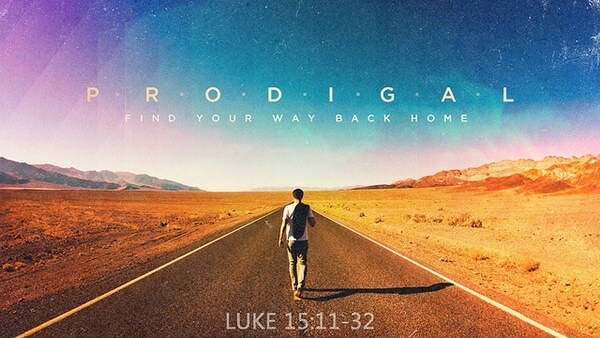 This week’s episode explores Lent 4, Year C, Luke 15:1-3, 11b-32. Let’s start with a question: This passage is traditionally called “The Parable of the Prodigal Son,” but would a different title be more appropriate? How about “The Parable of the Resentful Brother”? Or better yet, “The Parable of the Forgiving Father.” After all, this story is primarily about the reckless love of the father. What makes the father’s love reckless? The youngest son asks for his inheritance before the father is dead. In essence, the son tells the father that he wishes he was dead. Have you ever wished God was dead? Have you ever been angry with God? Maybe something bad happened to you or someone you love. Like CS Lewis when his wife was struck with cancer, you shook your fist at the heavens and wished God was dead. Actually, that’s not how the father responds. As we have seen during every Sunday of Lent, God is the Giver and so the father gives his inheritance to the son. One might call that reckless giving on account of the father. The son didn’t deserve his inheritance. In fact, the son may have deserved a good kick in the pants for insulting his father. But instead, the father responds with giving the gift. He responds with grace. And as we all know, the son squanders the gift. He spends his inheritance on parties and, if we are to believe what his brother says later, on prostitutes. He is left caring for filthy, unclean pigs. Soon, the younger son comes to his senses and he realizes what he really wants is to be back at his father’s house. So he develops a scheme where he will apologize to his father for sinning against him and against heaven so that he can be at least a slave in his father’s house. Here’s a question: Was the son sincere in apologizing to his father? Did he care at all about his father, or did he just care about himself? Was his apology a self-serving scheme? The father doesn’t care about the answer to those questions. He just cares that his son is on his way home. And so he does what no self-respecting father would ever do in an honor/shame culture – he sees his son out in the distance and he runs to him. He doesn’t even care about the apology. He puts a ring on his finger, symbolizing that the relationship has been restored, and he throws a massive party for his son. The older brother comes clean about his resentment, which is a positive step in the right direction. He says that he has been working for his father all of these years, and his father never threw him a party. He resents his brother because he wants what his brother has – a party! But not just a party, he wants a relationship with his father. And the father says that the older son already has everything! The older son has been working so hard that he wasn’t able to realize that he already had his father’s love. He didn’t have to work for it. It was already a gift given to him. And this is one area René Girard helps us with this story. Girard constantly emphasized in his work how human desire functions. How do we desire? As social creatures, we learn what to desire from one another. Often when I ask people, “What do you really want?” they are speechless. I’m often left speechless by the question. We so often live day to day going through the motions that we don’t know what we really want. We think we want a new car or phone or house or (insert shiny new object) because someone else thinks it’s worth having, so we want it too. That’s a natural way to desire something, but it doesn’t lead to what we really want. What we really desire is a relationship with someone like the father figure in this parable. We want someone to risk social ostracism by running out to us because they love us so much. We desire to be desired. We desire to be loved. I suppose one could title this parable, “Looking for Love in All the Wrong Places,” but please don’t. That’s too cheesy. And it misses the point. The point is that the shiny new objects in the world might be exciting for a moment, but they will always leave us empty. That’s because we will always be grasping for more. Jesus leaves the parable open-ended. We don’t know if the youngest son fundamentally changed, or if the oldest son ever joined the party. And in a way, it’s good that Jesus left the story unresolved. That’s because you and I play a role in this. 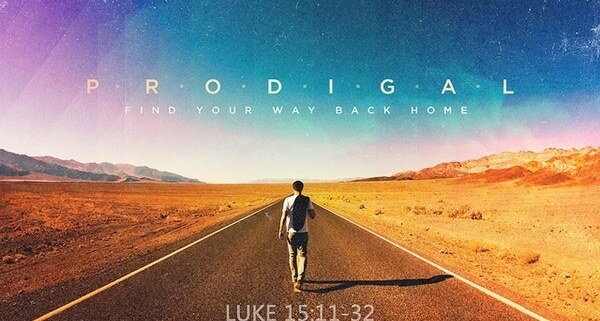 At times we have been the prodigal son. At other times we have been the resentful brother. And maybe at times, we have been the forgiving father. Jesus leaves the door open so that we can live into the story. Which character are you? Deep down, what do you really desire? Will you resolve the story with your life? Image: Flikr, creative commons license. I am new to the Girard’s ideas and I can’t offer anything substantive but I do have two things that folks might like to explore. One is an experience I had with my own father. I must have been ten or eleven and some of my friends were at my house playing in the back yard. My dad was mowing the grass and one of my friends asked to push the mower and my dad agreed. I was deeply hurt. I was the resentful brother in that moment. In my mind — to the best of my memory, of course — there was no logical reasoning behind my woundedness — pushing the mower had never been denied to me and I had no memory of ever wanting to push it. But clearly this boy had something I thought belonged to me, once I saw him have it.